In 1942, the Germans dominated most of Europe. 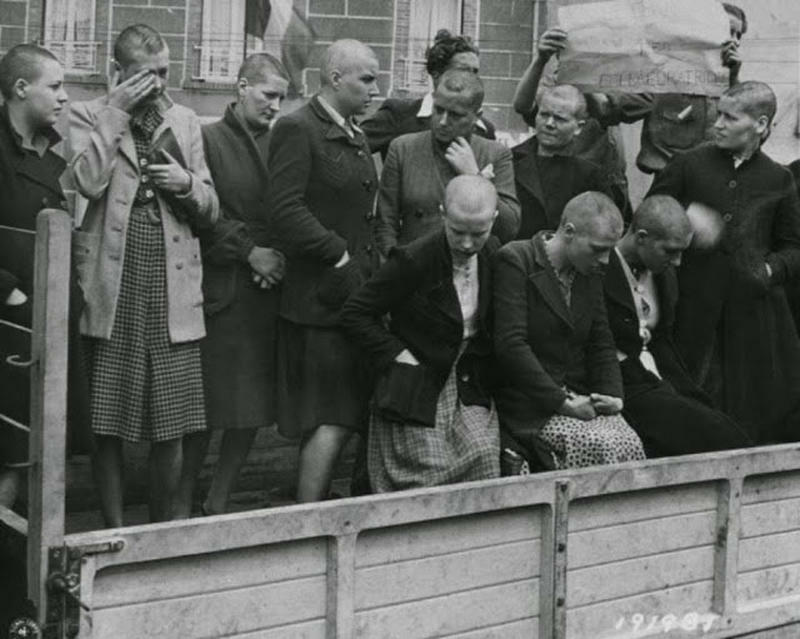 Like soldiers in past wars in history, they started scouting around for women, resulting to what was later called "collaboration horizontale.” After the liberation, thousands of women in occupied countries in Europe were accused of collaboration resulting to shameful retribution -- their heads forcibly shaved; some were beaten up; and some were even killed. Somewhere in France. 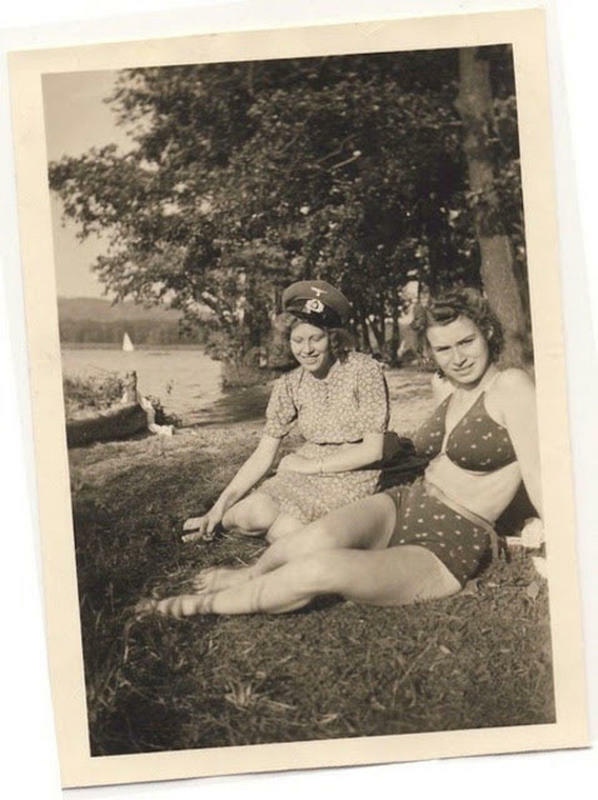 This photo is found on a German POW. 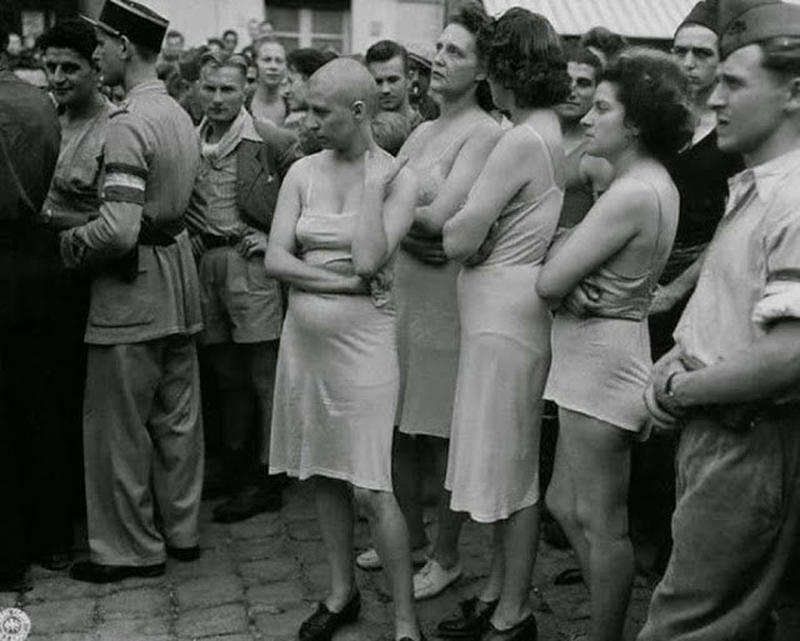 Nazi soldiers exchanging their uniforms with their girlfriends. 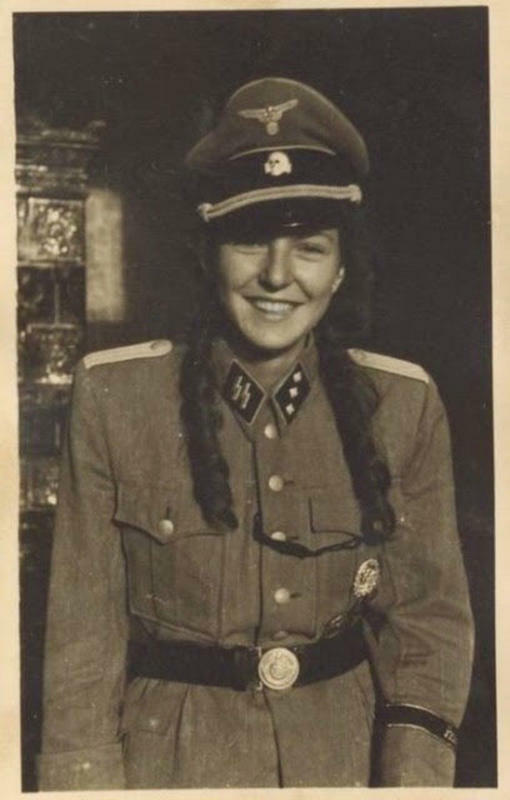 A young woman in an SS officer's (Untersturmführer) uniform. 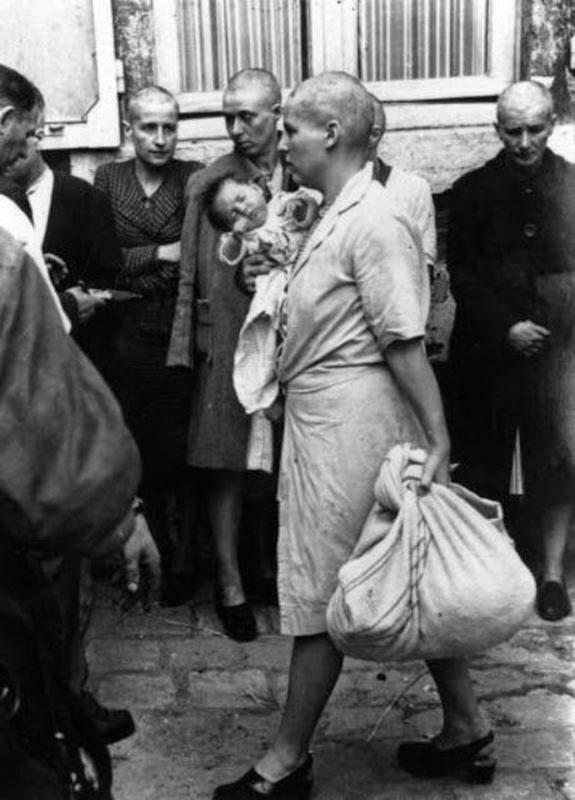 A French girl engaged to a Nazi soldier follows him into prison after his capture near Orleans by U.S. forces in August 1944. She luckily made a good decision as she's safer in prison than on the streets, where women like her were subject to abuse by the partisans. 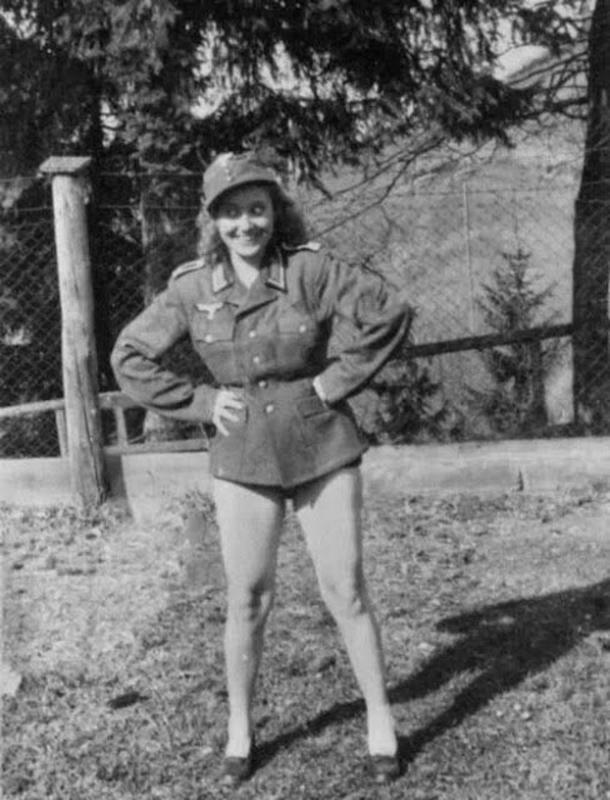 Some women accused of collaboration claimed that they were coerced or forced to be in a relationship with a German soldier. 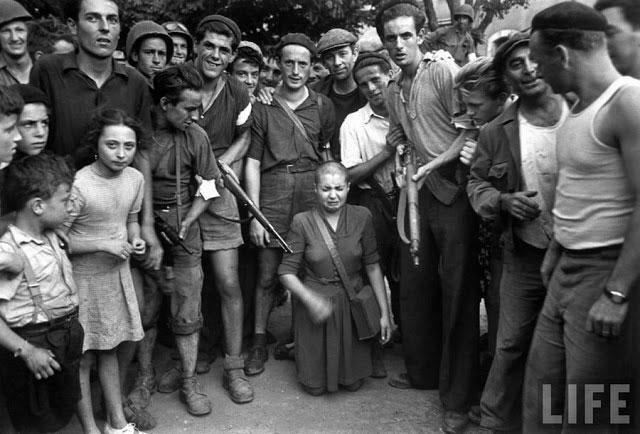 But this Frenchwoman in the photo does not look like she is being coerced, nor the ones in the background. 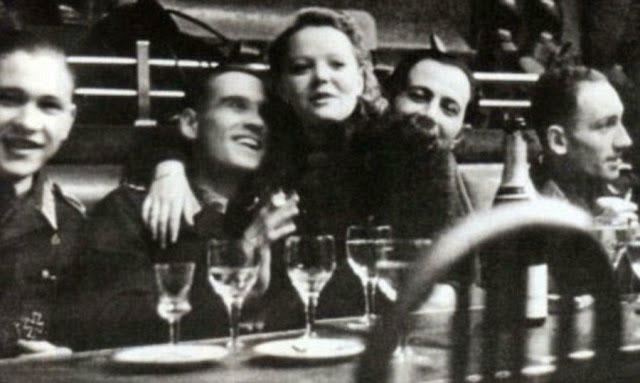 A Frenchwoman cavorting with members of Hitler's SS in a bar. 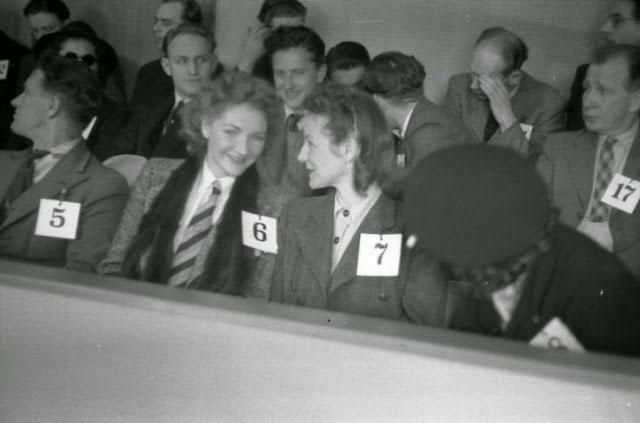 Smiling members of the Norwegian collaborationist Special Squad Lola (Sonderabteilung Lola) being tried after the war. Their mission was to infiltrate the Norwegian resistance working under the orders of the SS/SD. They tortured several hundred Norwegians and is believed that they killed more than 80 people. Ten of the defendants, all men, were found guilty and shot. The rest received long prison sentences. 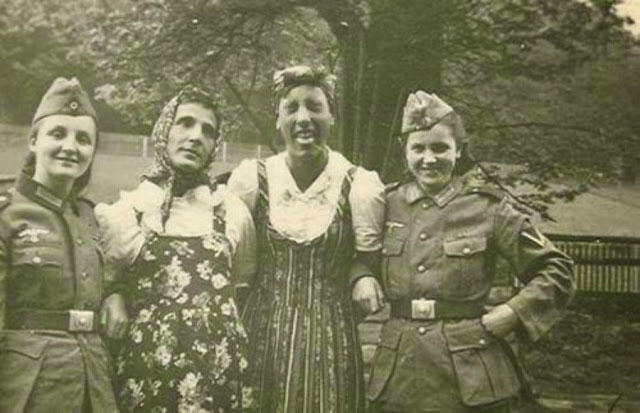 Here are Belgian women who had collaborated with the Germans. They are shaved, tarred, feathered and forced to give a Nazi salute. 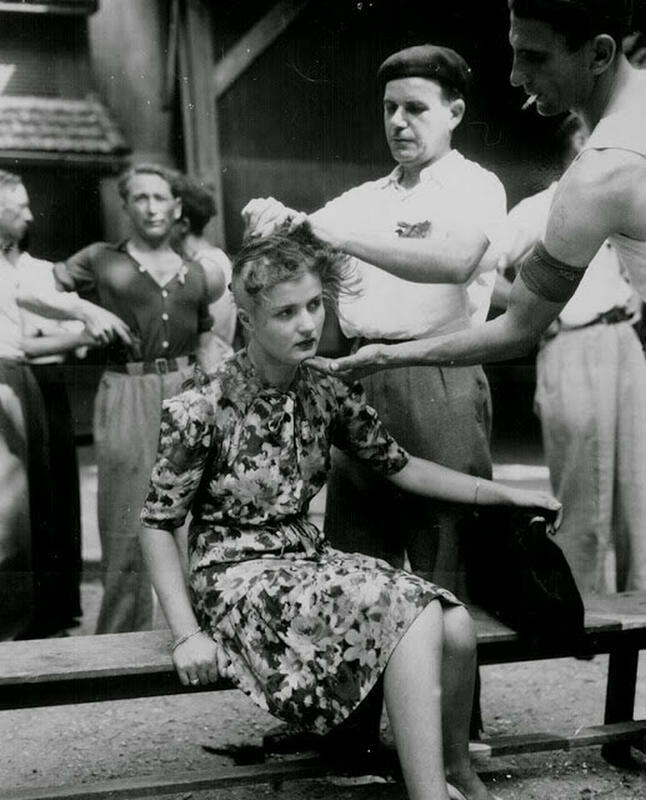 A Nazi “collaborator” - a French woman having her head shaved following liberation for an on-going sexual relationship with a Nazi soldier during the occupation. 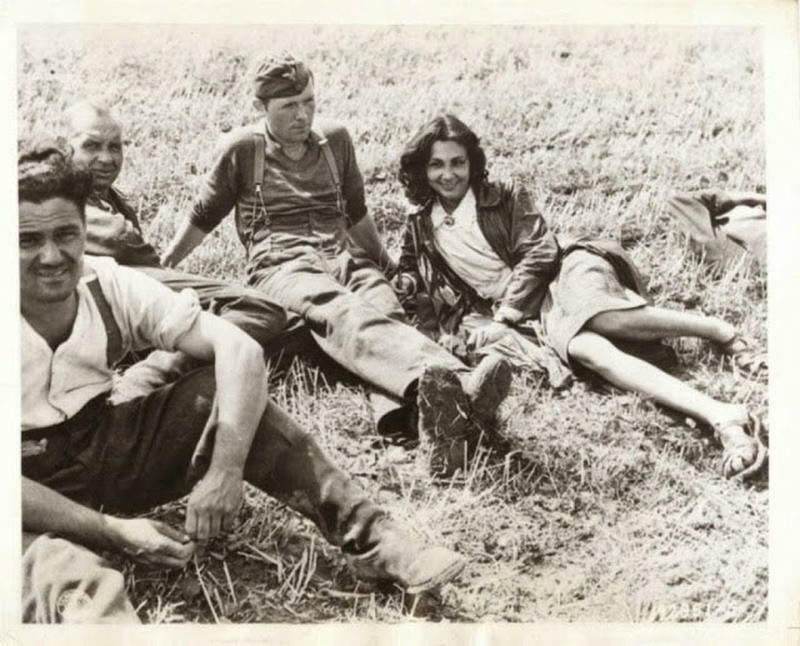 Women who collaborated with the Nazis are driven through the streets of Cherbourg. 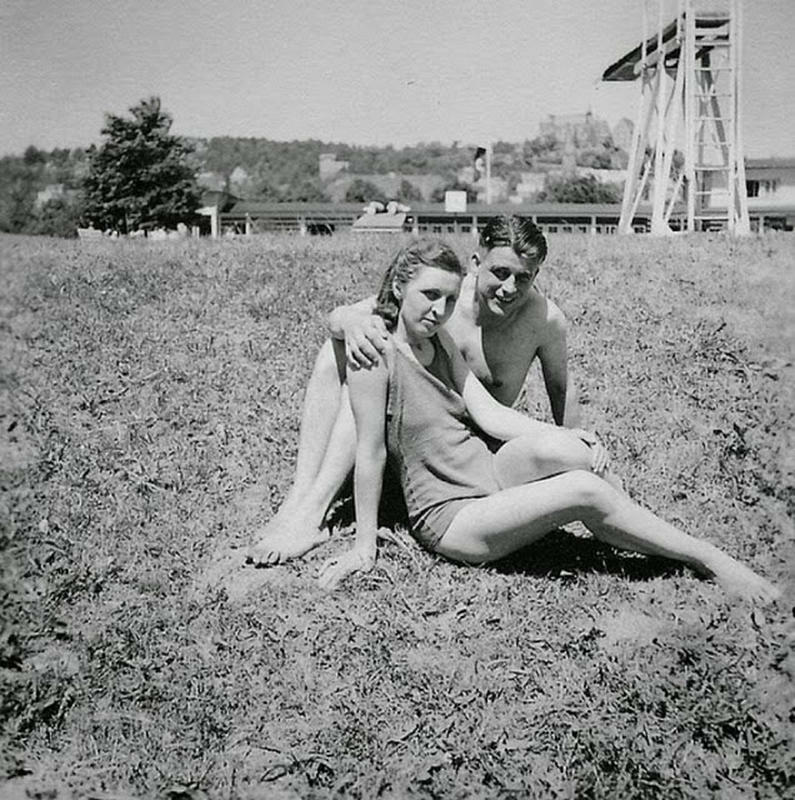 The perks of sleeping with SS men during the occupation were extra rations, access to forbidden luxury goods (perfume, stockings, etc.) and freedom from certain restrictions. Going strictly by their attire and defiant postures, these collaborator girls are paraded around the streets. This may seem too much to today’s audience. But at the time when this picture is taken, this image evokes feelings of victory and just retribution. 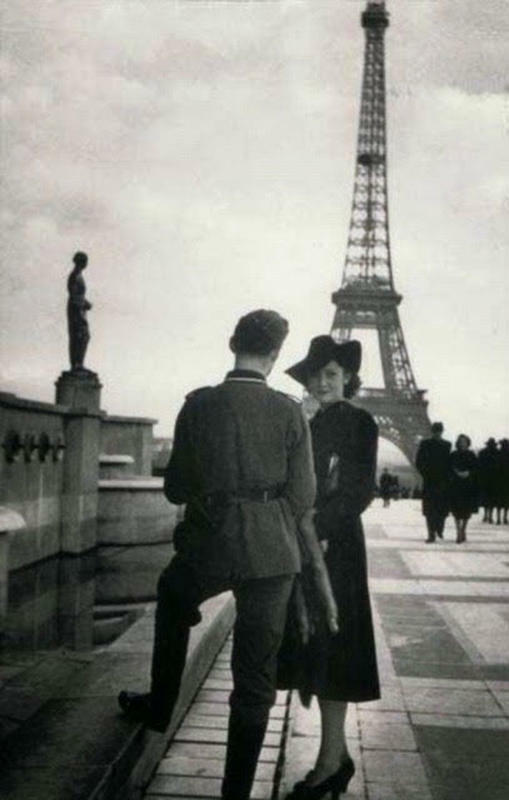 This photo is taken by Robert Capa. 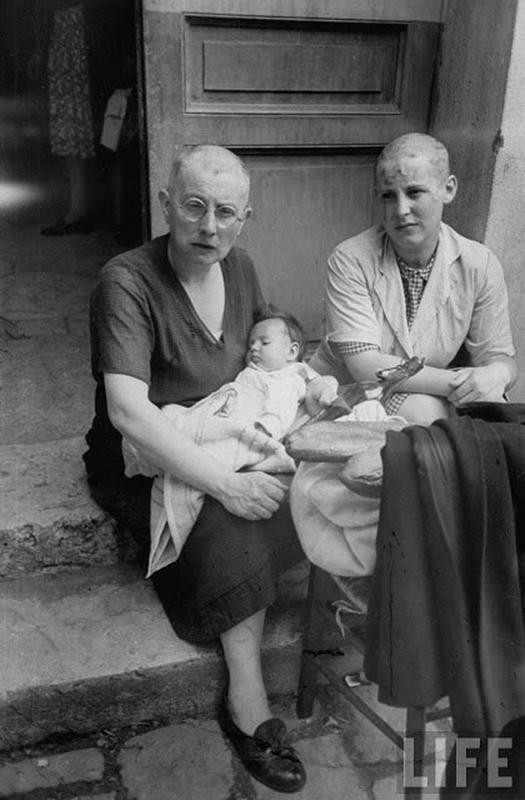 It shows a Frenchwoman collaborator and her baby followed by a throng of taunting townspeople in August 1944. 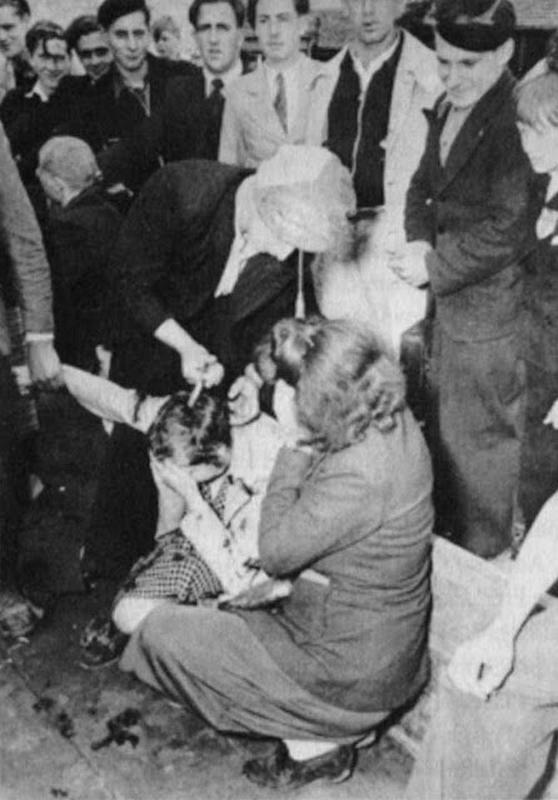 She is also passing some women who suffered a similar fate. 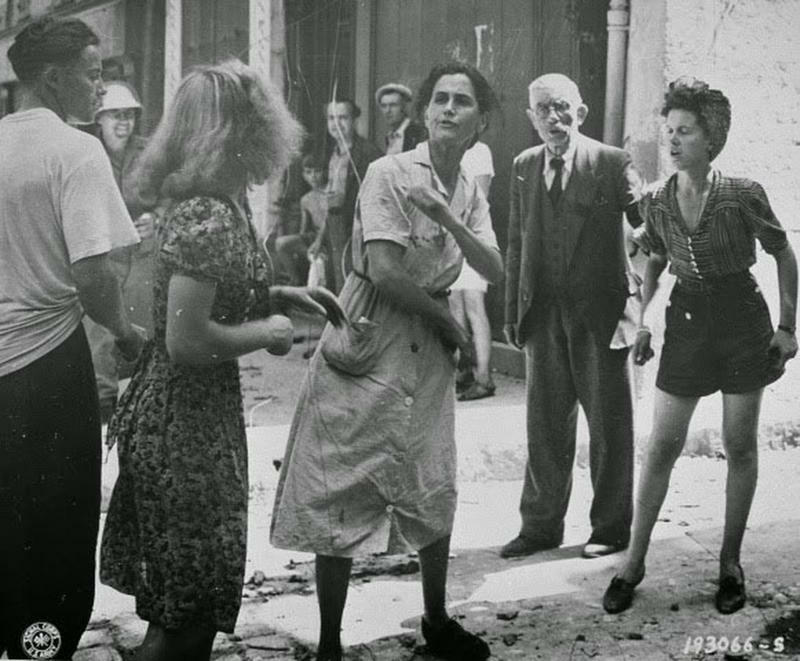 In the streets of Brignoles, angry French citizens publicly shame and rebuke a woman accused of having collaborated with the Nazis. Women often were the most upset with other women who collaborated. 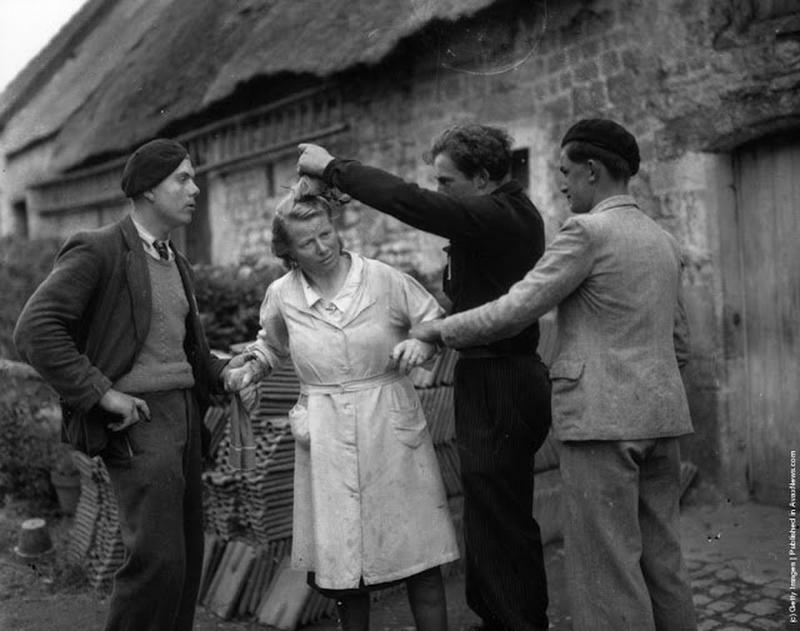 Members of the French resistance in Cherbourg shear the hair of women who collaborated with the Germans. 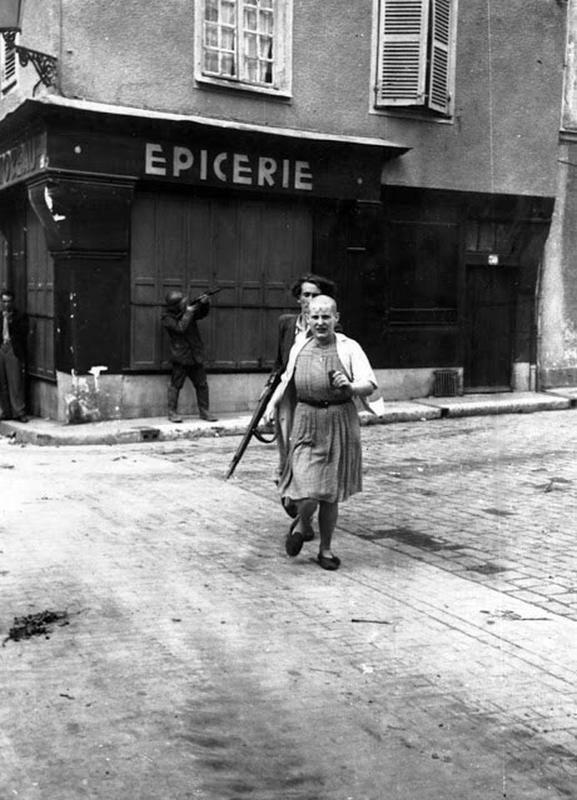 A woman with a shaven head is marched away by a member of the French Resistance in August 1944. 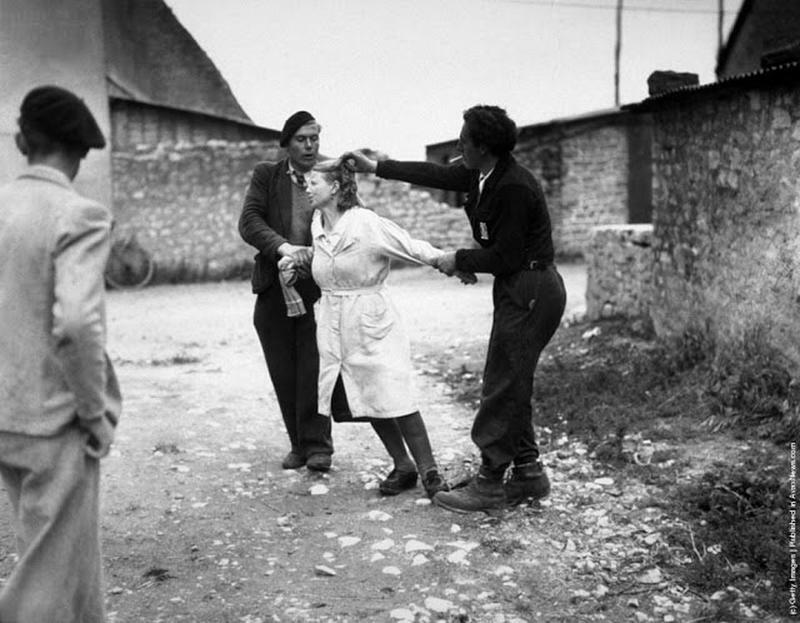 Accused collaborator women photographed after being punished by the French resistance. 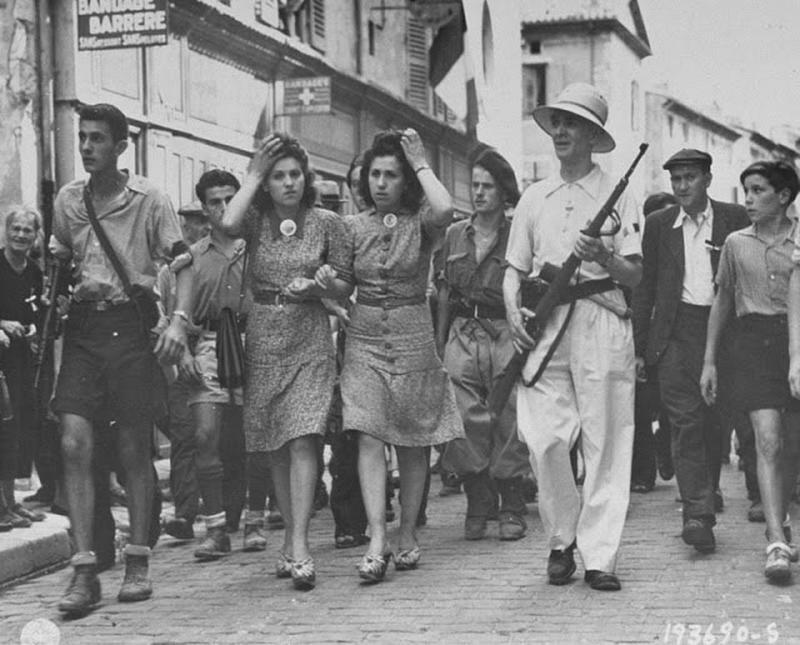 Members of the French resistance lead two women accused of collaboration to a local prison, where their heads will be shaved on August 29, 1944. 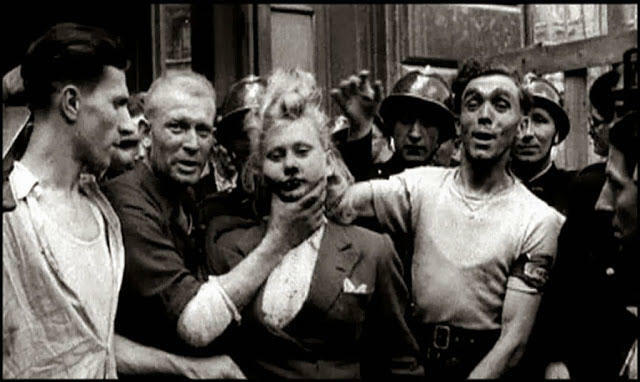 A Frenchwoman accused of sleeping with Nazis has her head shaved and shamed by her neighbors in a village near Marseilles. 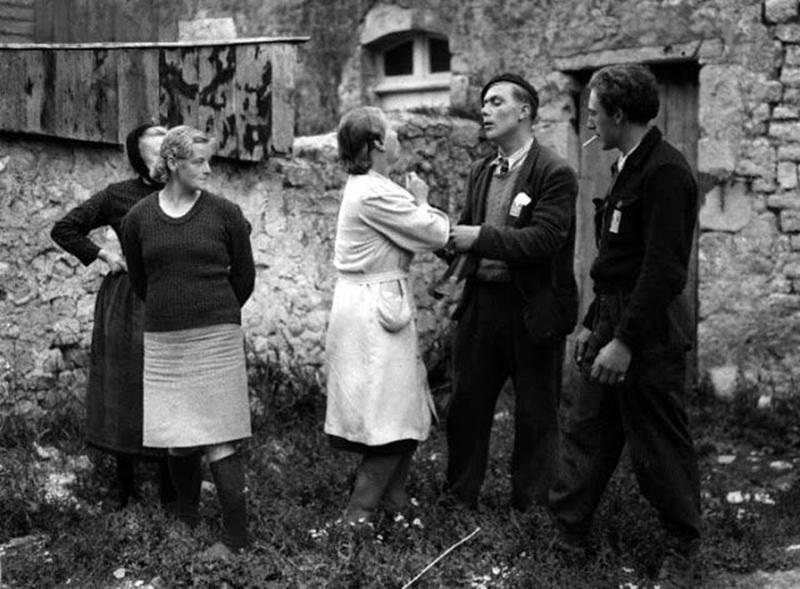 In the Normandy village of Liesville, angry French patriots take hold of Juliette Audieve, thought to have been a collaborator with the Nazis. 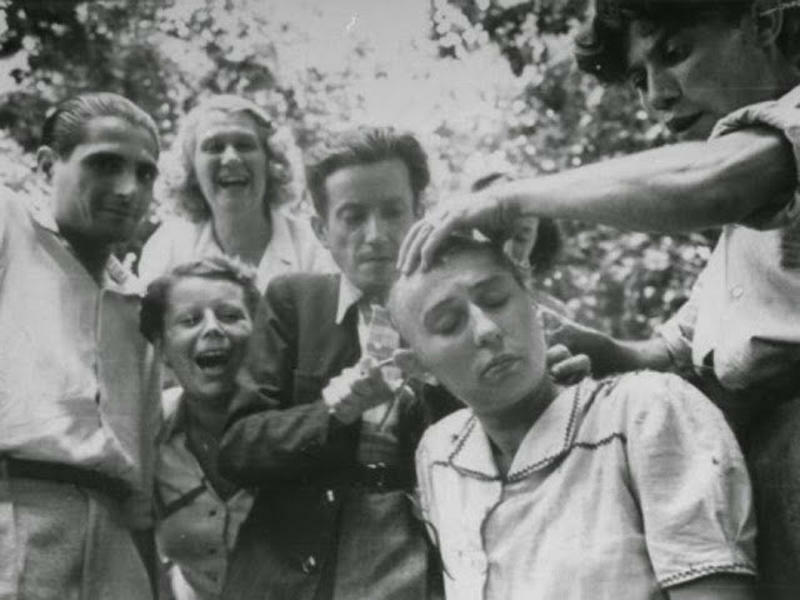 Moments later, the patriots try to shave the hair of Juliette Audieuve as punishment for collaboration in Liesville, France, 1944. A collaborator girl being humiliated in public.